"This is a remarkable Good Samaritan story that really embodies the 'right place at the right time' saying." 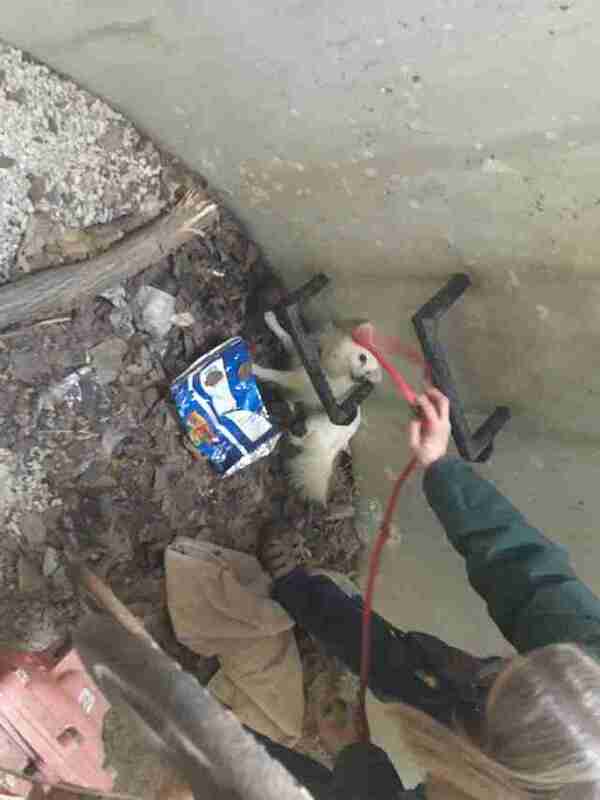 No one knows for sure how long this little dog had been trapped there, clinging to life deep inside an uncovered sewer near a wooded area in Kansas City, Missouri — but one thing is certain. She never gave up hope. Fortunately, a man passing by the spot heard her cries for help, and knew he had to answer that call. 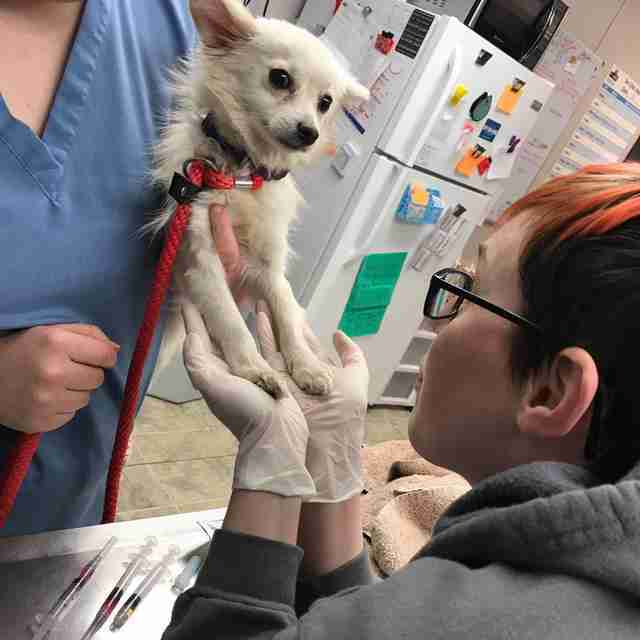 "This is a remarkable Good Samaritan story that really embodies the 'right place at the right time' saying," rescuers from KC Pet Project later wrote. After making the discovery, the man sought out their assistance in bringing the frightened dog to safety. Incredibly, considering the nature of her ordeal, the pup was not seriously injured. "She was understandably scared, but warmed up to staff quickly with some canned food," rescuers said. "Despite falling at least 10 feet, she has no broken bones, but she was very skinny." Thankfully, she's now in good hands. 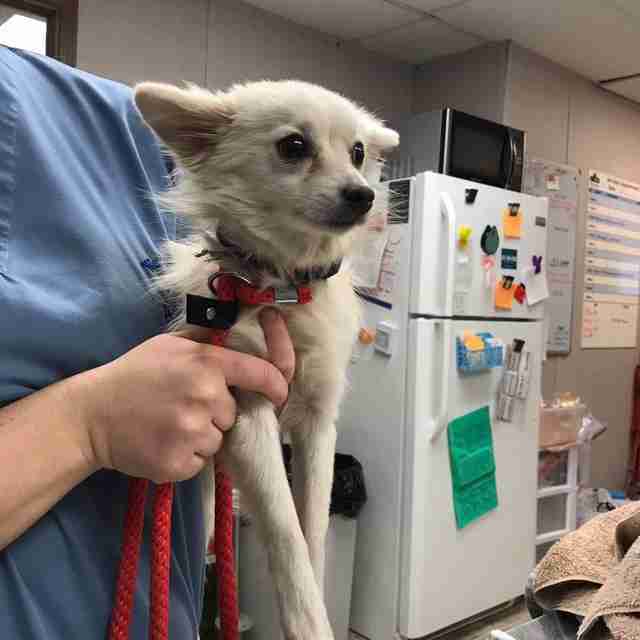 The little dog is still regaining her strength as rescuers spread the word in hopes her rightful owner can be found. If no one claims her, she'll eventually be made available for adoption. An uncovered manhole poses a serious threat to a multitude of creatures who could fall in and become trapped, so hopefully authorities have since remedied the problem. After all, she likely would not have lasted much longer had her frantic barking gone unnoticed that day. "We’re so thankful that someone found her and acted quickly," rescuers said. You can help cover the cost of this lucky pup's recovery by making a donation to KC Pet Rescue.